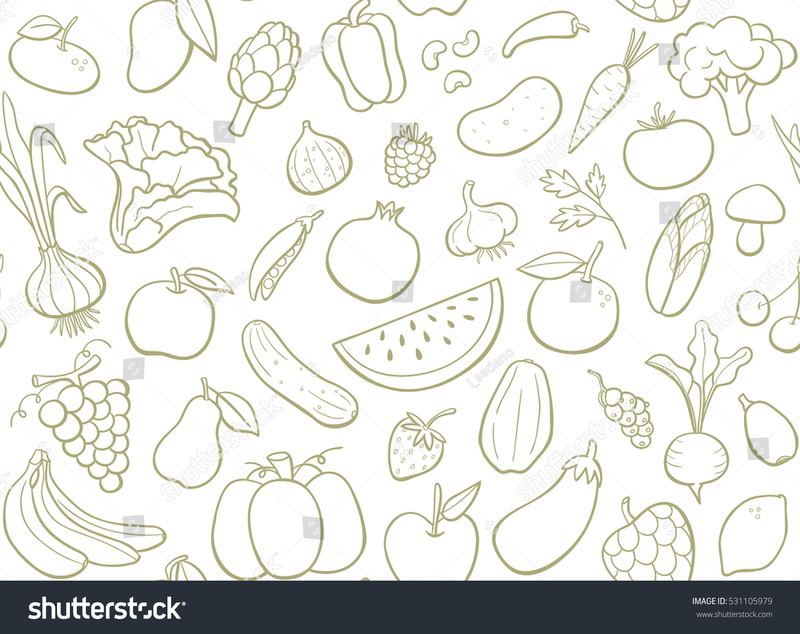 Hand drawn fruits and vegetables doodle set. Editable seamless pattern. Vector illustration.